Meredith, I felt like I was reading A STATE OF JANE all over again. Such a terrific book and crazy great fun as Jane stumbles, falls, then picks herself back up again. Thank you so much for participating in the second annual Chick Lit Author Blog Hop in celebration of International Chick Lit Month held every May. Such a honor to host you and the other 24 great indie writers on my book blog, Chick Lit Chit Chat. And I’ll see you at the BookBuzz 2013 on May 30 in NYC! Thanks so much for having me on your blog hop and I absolutely cannot wait to meet you on the 30th! Great post, Meredith! You know how much I enjoyed A State of Jane–and I can’t wait for your next book! Take care! Thanks Dee – we have a mutual admiration society – very excited to read your new release as well! I love all of your books, Meredith, and I can’t wait for your next one! You are one of my favorite writers and people, and I miss Jane! Well, now I’m just as curious to meet Jane’s parents as I am to meet Jane! What a great teaser, Meredith! I am looking forward to reading ASOJ very soon. I’m very much looking forward to reading this! Soon as I finish working on my own “Jane” book I’m going to get to this one! Meredith – this sounds so cute! And a great cover. Looking forward to reading it. Glad to be on the HOP with you! Thanks Susie – wonderful to hop with you as well! This is my first year doing the Blog Hop and I’m so happy I stumbled on it and all these great blogs! I haven’t read your book yet – but I have been trying to find the perfect book to read next. I think I found it! 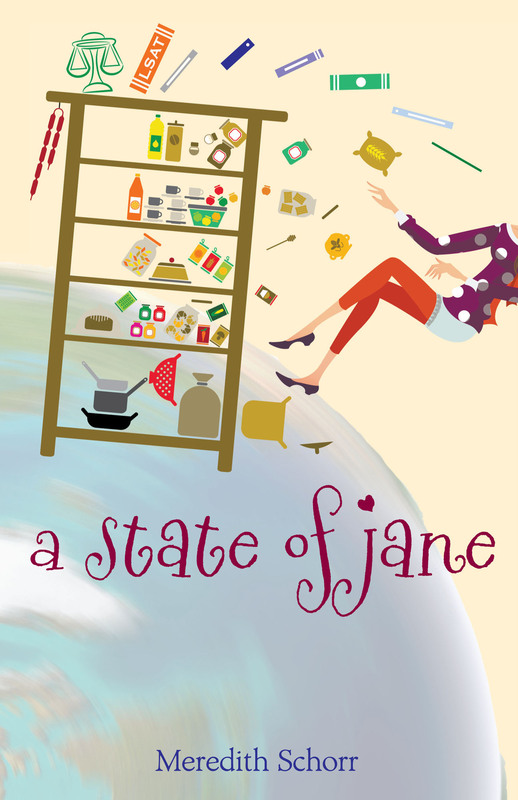 Thank you so much for stopping by – I hope you enjoy A State of Jane! State of Jane looks so good! I have it on my Kindle and I’ll be moving it up the queue right away!